In my youngest years, I made friends with bugs, frogs, snails, birds and neighborhood animals. Their personalities, their design….it inspired endless curiosity. 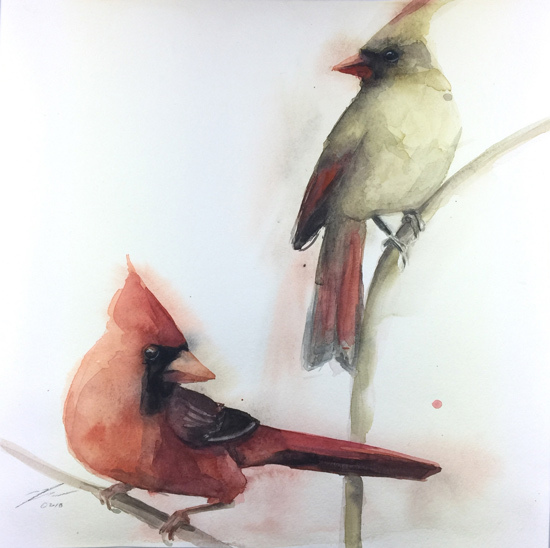 To this day, Holly Wach continues to bring the spirit of nature into her life’s work as an artist. Her art carries viewers to a calm beyond the modern world through the eyes of creatures large and small. Whether watercolor, pastel, or oil, universal themes of healing and spirituality arise from her canvases. 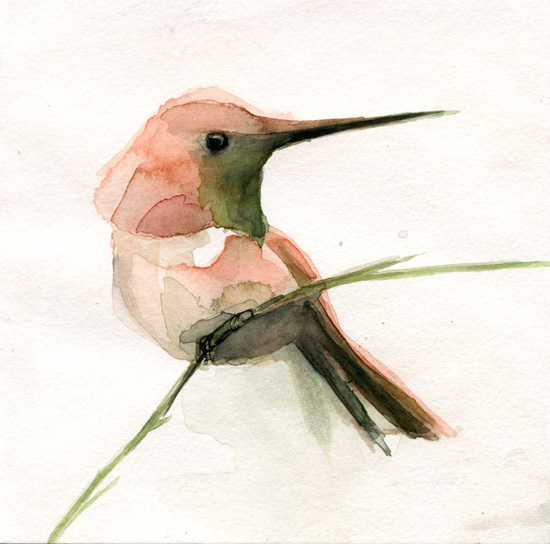 Holly brings the beauty of anthropomorphic visitors of the natural world. While studying for her MFA at New York Academy of Fine Art, larger creatures came roaring into her work as a symbol of finding one’s voice and power. It was there that Holly developed majestic, large-format works which married lions with the female form. After moving to California and starting a family, Holly took a six-year break from creating art to focus on her new child while developing teacher training programs that helped transform art education for the City of Oakland, CA. Three years ago she and her family started a new chapter in richly historical Rhode Island. Holly became immersed in the new sights and sounds of the animals outside her Providence window. Birds were constant companions in the maples and mulberries, stopping long enough to allow mindful observation. To have such intimacy again with small creatures–for Holly, it was a return to forever. With birds, she was able to get inside their personalities and watch their diverse, often human-like, behaviors. 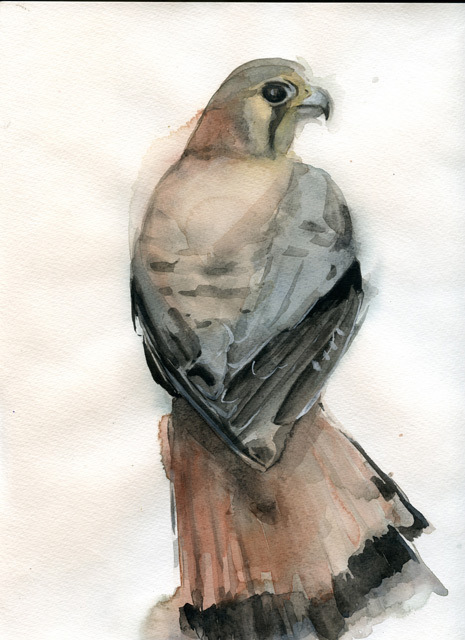 Patrons began to say that her paintings capture the birds’ spirit, not just their likeness. Paintings are all made by me using a wet on wet watercolor technique to start on a 140-300lb rag watercolor paper. Then building the form with layers to the last stage of the finishing details (pushing the darks and adding the white highlights). Prints of my images are made by me using archival inks and heavyweight rag paper (Priced $20-95). All work is matted for easy framing or framed in a solid wood frame. All artwork and prints from start to finish are done by me. Framing is done by me with occasional help from an assistant.